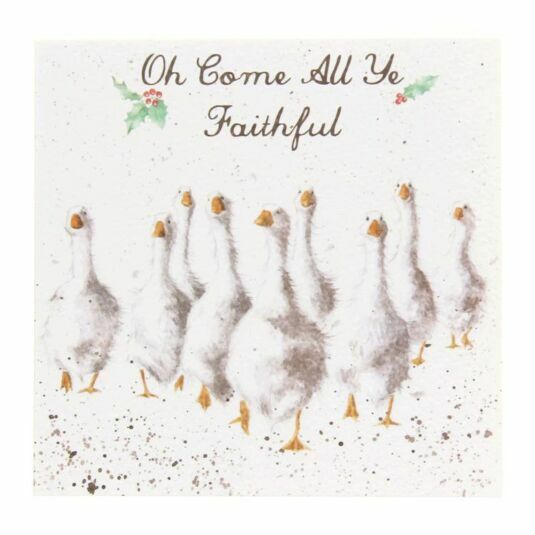 This greeting card features a multitude of Geese, all in mid-waddle. The image is painted in soft greys and yellows, in the watercolour style that is the trademark of Wrendale designer Hannah Dale. The inside reads With Best Wishes for Christmas and the New Year. This card will appeal to bird lovers and those who love the countryside.